We know you share our conviction that it is possible to produce high-quality, high-welfare, and healthy animal products while also supporting the environment for the long term. And we know you understand how crucial it is to have independent, third-party certifiers that give you confidence the products you buy meet these standards. 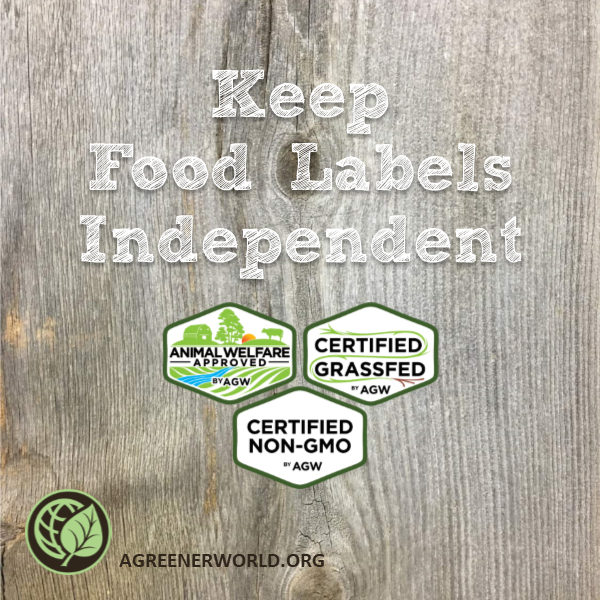 As an independent nonprofit certifier, A Greener World provides this service to you, our farmers, and their farm animals without taking money from any special interest groups or private industries. We count on your support to make this work possible!! Influence the conversation about sustainable food production by advocating for higher standards, greater transparency and truly independent farm audits. We sincerely thank you for your commitment to A Greener World, and look forward to sharing more positive results with you in 2019!